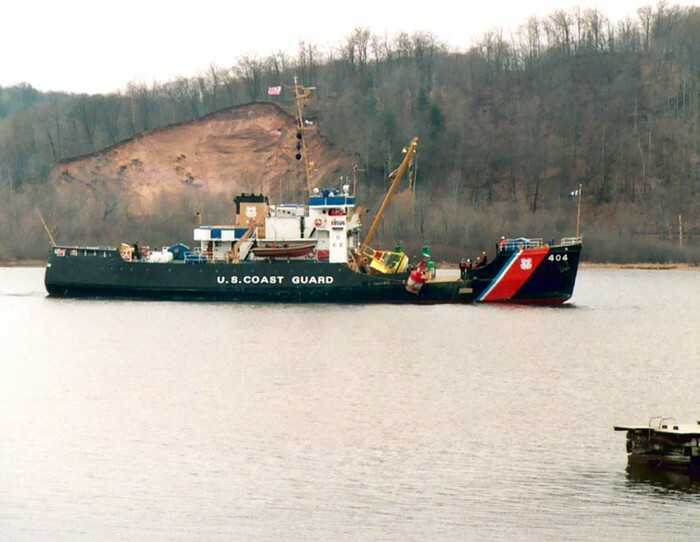 Coast Guard Cutter Sundew [ 21 April, 2004 ] Shown placing a summer buoy at the Hancock Beach, this was the last trip to the Keweenaw before being decommissioned at Duluth on May 27, '04 , (where she was built in 1944) , serving for 60 yrs. 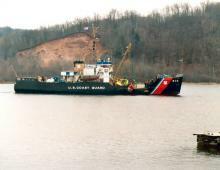 The SUNDEW was only one of two 180' IRIS-Class ships still in service. Other IRIS-Class ships serving the Keweenaw included the MESQUITE, and the WOODRUSH. The SUNDEW will be part of a permanent maritime display in Duluth Harbor. [ Photo:© Roland Burgan ].